Django comes with a few optional apps that can easily be installed. One of those apps is the Redirects App, which is particularly useful in the cases where you want to update some existing URLs without compromising your Website SEO or in any case avoid 404 errors. It basically works by creating a table in the database with two columns, old_path and new_path. Every time your Website raises a 404 error, the Redirects App will intercept the response and check this particular table for a match. If the requested URL is found in the column old_path, instead of raising the 404 error, it will redirect the user to the new_path returning a 301 code (Moved Permanently). Alright, so let’s see how it works in practice. Set a SITE_ID so the sites framework works properly. The easiest way to use is through Django Admin. 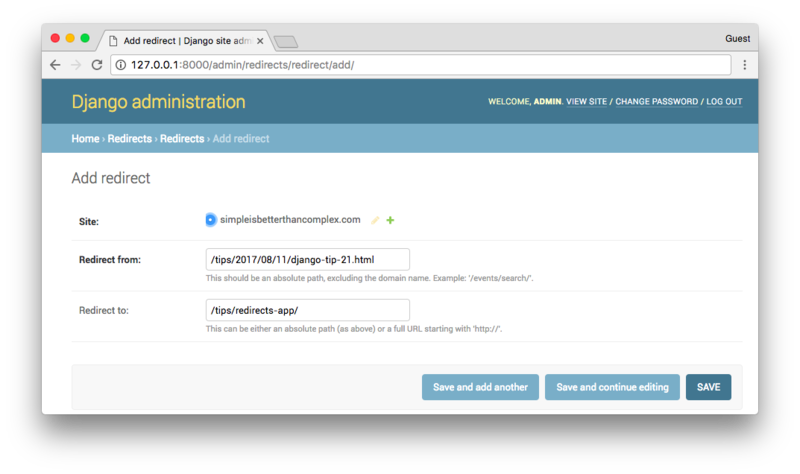 If you are not currently using the Django Admin app, and it’s a one time thing (for example you are migrating a site from other platform), you can use just the Python API via command line or creating a fixture. If you are not using Django Admin and still wants to add it as a functionality for the site administrator, then you will have to create your own views for it. 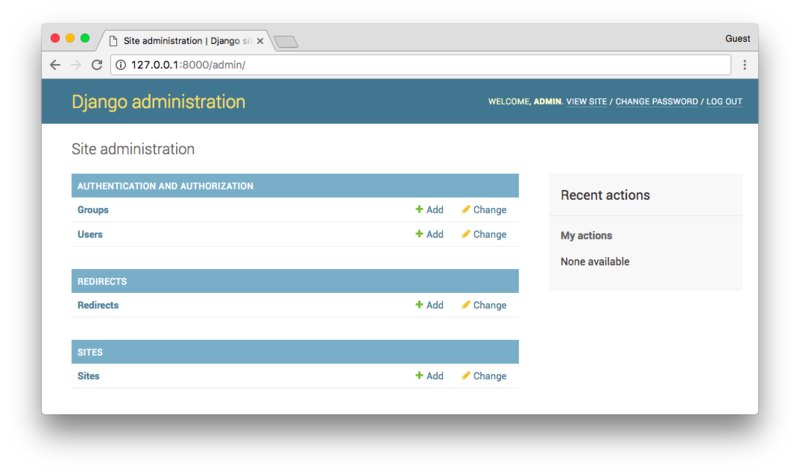 It will be automatically added to the Django Admin interface. You will see, it’s very straightforward. Just add the paths and it will do all the hard work for you.